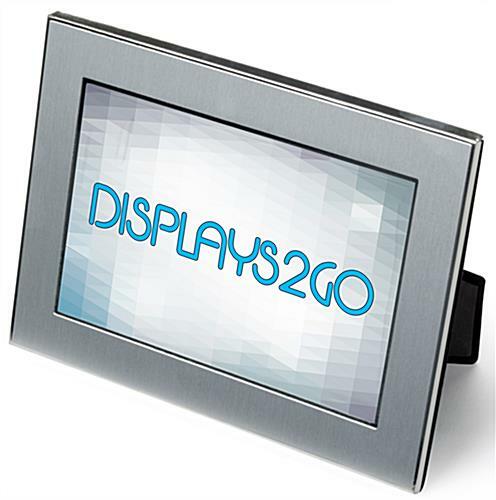 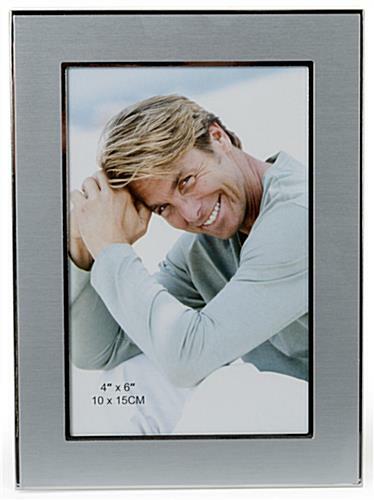 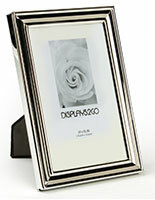 5" x 7" 8" x 11"
The 4 x 6 silver picture frames are made of metal and have reflective accents. 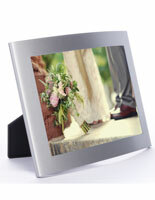 The holders come with a clear glass lens that protects photos from being tarnished by dirt and moisture. 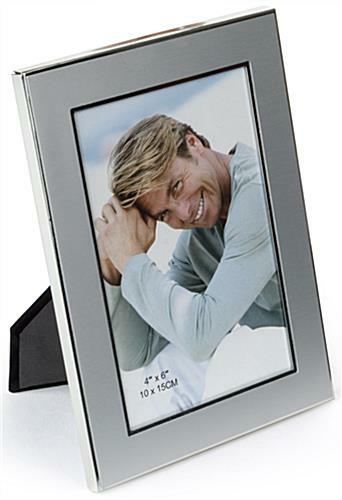 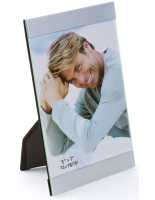 The silver picture frames make great gifts with their cheap price and modern appearance. 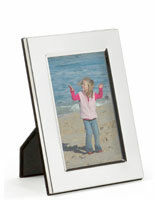 The metal displays come with (2) hooks and an rear easel for placement on walls or tables. 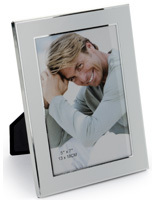 Each of the picture frames with a glass lens can be shown in either horizontally or vertically. 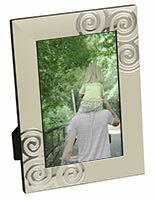 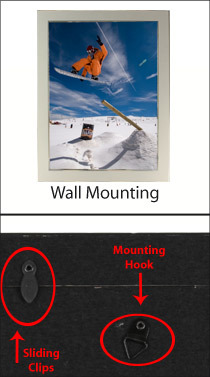 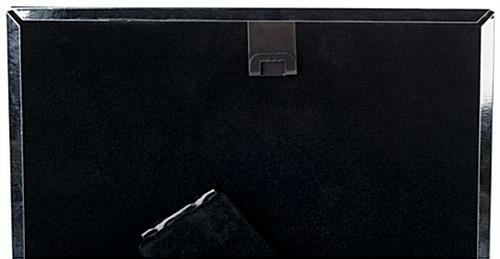 The photo holders make easy-to-use gifts with their rear loading door and sliding clips.